Bitcoin (BTC) is on the defensive, having breached crucial support on Monday and could suffer a deeper drop, courtesy of a bearish crossover between key moving averages. As of writing, BTC is changing hands at $6,420 on Bitfinex, representing a 3 percent drop on a 24-hour basis. The bullish break above $6,600 witnessed on Friday had set the tone for a move toward the psychological hurdle of $7,000. However, the rally in alternative cryptocurrencies fizzled out over the weekend. 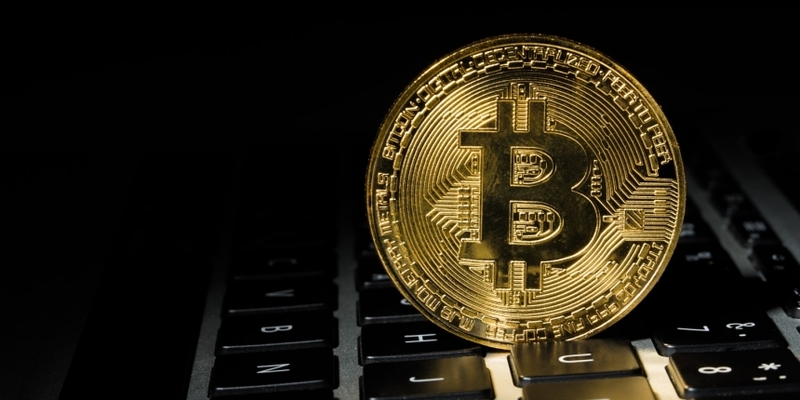 As a result, while BTC managed to hit 17-day highs above $6,800 on Saturday, it fell back below $6,600 yesterday, neutralizing the bullish outlook. Further, the pullback from the weekend high of $6,841 to today’s low of $6,370 validates the bearish view put forward by the negative moving average crossover on the monthly chart. Hence, BTC risks falling to the major support at $6,000 in the next few days. Over on the daily chart, BTC has found acceptance below the double bottom neckline of $6,600. The bull failure, though encouraging, is not enough to call a bearish reversal. Moreover, BTC is still trapped in the large pennant, and a UTC close below the lower edge of the pattern would confirm a revival of the sell-off from May highs above $8,500. That said, the probability of a downside break is high as per the long duration chart. As seen in the above chart, the 5-month exponential moving average (MA) crossed the 10-month EMA from above at the turn of the last month, confirming a bearish crossover. More importantly, BTC’s failure to hold above the MAs over the weekend added credence to the negative MA signal. BTC’s drop below $6,600 yesterday has neutralized the immediate bullish outlook. A downside break of the pennant pattern in the daily chart would open doors for re-test of the June low of $5,755. The bearish crossover between the 5-month and 10-month EMAs indicates that BTC is more likely to find acceptance below the pennant support, currently located at $6,265.